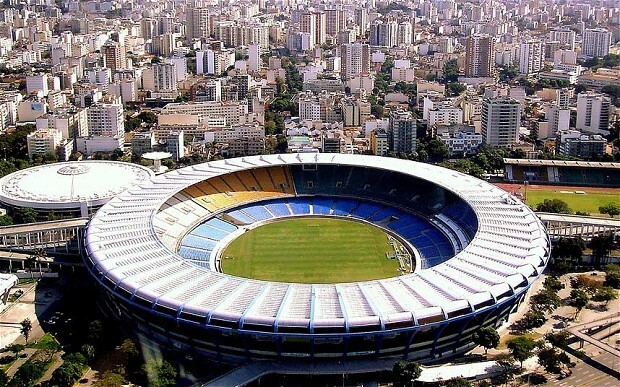 Constructing complex facilities for major events such as the World Cup—which is currently taking place in Brazil—can be challenging to say the least. However, with the use of technology and BIM (building information modeling), construction companies can improve productivity and efficiency in order to meet tight deadlines for the events. For example, Arena Amazônia in Manaus, Brazil is one of the many Brazilian football stadiums that has been built using technology. This particular stadium has seats for 44,500 fans and a steel structure that circles the stadium creating a 23,000-square-meter roof. This is just the start of the complexities of the facility. The main and secondary structure of angled and H profiles and steel plates rise to the height of 31 meters and the pitch is surrounded by the steel structure coated with translucent white PTFE (polytetrafluoroethylene) membrane sheets, which reduces the temperature in the stadium. In order to create the twisted beams, exact coordination was required. Naturally, technology quickly became part of the equation. With this particular technology, productivity was improved by 20% and efficiency was improved by 30%, which ensured it met the tight construction deadlines. In addition, the use of technology improved collaboration on the project. With the software, team members were able to share information and to clarify any questions for project coordination. The stadium was modeled in 3D and extracted 2D drawings. The technology also helped model the structure, giving shape to the structural beams. Construction began on the stadium in November 2012 and was inaugurated in March 2014. Following the World Cup, the venue can be used for concerts and other events.